Assassination is rare in Britain. But do not doubt that the political knife slipped into Boris Johnson’s back was anything other than a carefully crafted assassination. It began, supposedly, with a leak. Mr Gove’s wife, Daily Mail journalist, Sarah Vine, e-mailed her husband. The e-mail urged him to be sure to get ‘specific assurances’ from Boris as they were needed in order to guarantee support from Mail editor Paul Dacre and Rupert Murdoch. Inadvertently, this e-mail was copied to a, as yet unnamed, ‘member of the public’ from where it swiftly found itself in the hands of Sky News. This is a risible proposition. It involves believing that Mrs Vine, who spends her life working at a keyboard, managed, by accident, to type into a copy list, the name and address of someone she did not know. This would be a difficult trick to pull off with the most anodyne e-mail let alone one of the most sensitive e-mails this experienced political wife can ever have written. It is much more likely that one of Mr Gove’s own staff, with his approval, passed the e-mail to a friendly journalist. Some effort would have been made to keep Gove’s fingerprints off the ‘leak’. Few journalists today would pass up such a tasty story despite its total implausibility. It is a mark of the contempt our current crop of politicians have for the British public that they think they can get away with such an obvious manoeuvre. One reason is that they have managed to so often before. Another is that they can rely on the media not to probe too deeply for fear of not being able to run the story. The purpose of this tortuous stratagem was the sly introduction to Tory Party members of the idea that their house magazines had doubts about Mr Johnson’s suitability to lead the country. Though widespread among MPs, such doubts had not yet seeped out to the Party’s base. As implausible, and equally contemptuous of British common sense, is Mr Gove’s explanation for his action, delivered with stomach-turning sincerity to the media. Somehow, this experienced politician, now proposing himself as our Prime Minister, had not noticed Mr Johnson’s flaws until hours before he himself was due to lead a campaign to elevate Mr Johnson to the country’s highest office. It is not as if these flaws were not the subject of much high profile discussion, most notably by Matthew Parris. Either Mr Gove does not read the newspapers, never talks to colleagues and has very poor judgement or he is lying about his motives. In either case he is not fit to be Prime Minister. Fortunately, as he himself has said on at least nine occasions, it is not a job for him. So why risk all the pain and notoriety in pursuit of a job he doesn’t really want and probably won’t get? This is better understood if you remember that Mr Gove is not just keen to get Britain out of the EU, he would like to destroy the whole thing. Among the true believers in Brexit there were real doubts that Mr Johnson could be trusted not to sell them out in the negotiations. Their problem was Mr Johnson’s popularity with the 150,000 rank and file members of the Conservative Party. The rules for the election of a leader require its MPs to agree a shortlist of just two candidates from among all those who put themselves forward. The members then choose. There was real anxiety among the Tory brexiteers that if Mr Johnson was on the short list he would win. Thus the only option open to them was to keep him off the shortlist. But how to guarantee that without risking the ire of a membership deprived of a popular icon? Given his popularity and his role in winning the Brexit campaign it would be difficult to explain to your constituency party that you had voted against him. Many, perhaps too many, of the Tory MPs would have required a lot of persuading to take the risky course of not supporting Mr Johnson in the ballot. Better, then, if he were not to compete to be on the shortlist in the first place. So, how could this be arranged? Well, we have just seen how, live on TV. This is exactly the kind of scheme that would have come quickly to the mind of Mr Gove’s controversial advisor, and leading Brexit organiser, Dominic Cummings. As always when such murky events occur, ask yourself cui bono. Who would benefit most from the defenestration of Mr Johnson? We know the answer already: Theresa May. Mr Gove is too experienced with the Tory Party’s ruthlessness to have had any illusions about his chances of seizing the crown. So why help Theresa May despite their well-known spats? Never underestimate to ability of politicians to overcome personal aversion in the pursuit of power. Mr Gove’s dishonourable act makes Theresa May a shoe-in for leader. It is not only possible; it is probable, that there is a deal. 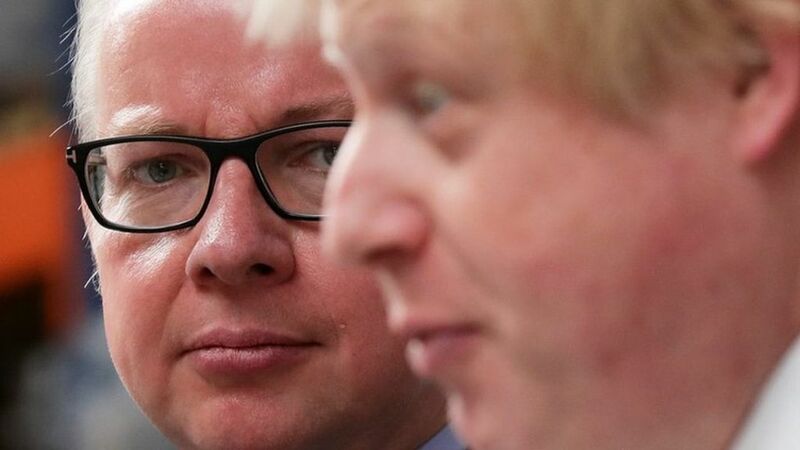 Do not be at all surprised if Mr Gove ends up in a very senior position in a new government playing a leading part in negotiating our exit from the EU. I have no idea whether what we are witnessing is a carefully constructed operation or just political rats behaving as they are wont to do. We will never know for sure, even when all the memoirs have been published. But I do know that the current Conservative Party leadership is yet again demonstrating its appetite for putting its own, and its Party’s interests above those of our nation.